The U.S. Department of Agriculture (USDA) is creating a new food data system called USDA FooDS, which will incorporate all USDA foods and nutrient composition databases under one umbrella. For more than 125 years, the USDA National Nutrient Database has provided data on the composition of foods commonly consumed by Americans. Today, the Beltsville Human Nutrition Research Center (BHNRC) Nutrient Data Laboratory (NDL), part of USDA’s Agricultural Research Service (ARS), maintains the database. way to measure calories in food. The first food composition tables, published by American pioneer chemist Wilbur Olin Atwater in 1892, contained 178 food items. Over the years, USDA noted the ongoing need to update data as food, agricultural, and manufacturing practices changed to reflect consumer preferences for low-cost, nutritious, and more palatable foods. In 2016, a new database, the USDA Branded Food Products Database, was launched, which increased the number of food items in USDA food composition databases from 8,700 to 228,000 within a year. The goal of USDA FooDS is to integrate all food composition data managed by BHNRC. This includes analytical data developed under the National Food and Nutrient Analysis Program, historical data from the USDA National Nutrient Database for Standard Reference (SR), data from the USDA Branded Food Products Database, and expanded basic chemical research data on food composition. 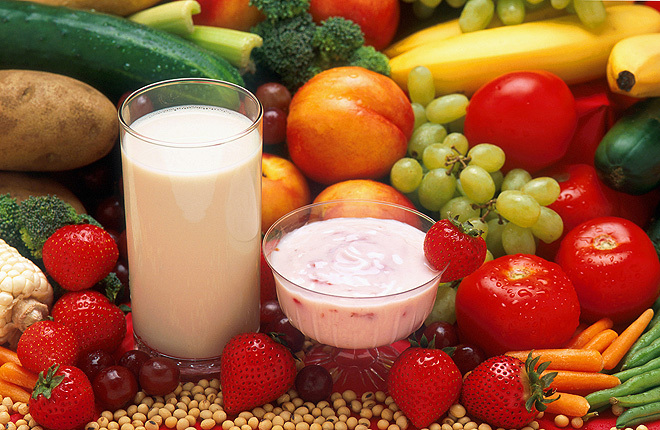 Two other key components of USDA FooDS are the Food and Nutrient Database for Dietary Studies, which was developed to provide nutrient content of foods and beverages reported in What We Eat In America, the dietary intake component of the National Health and Nutrition Examination Survey; and the Food Patterns Equivalents Database. These databases have been the foundation for nutrition guidance initiatives like the Dietary Guidelines for Americans and for development of daily reference intake values by the National Academy of Sciences. (See “A Definitive Way To Profile Our Nutrients.”). More basic analytical chemistry research data from BHNRC’s Food Composition and Methods Development Laboratory will also be included in USDA FooDS. BHNRC, located in Beltsville, Maryland, is partnering with the University of Maryland in designing, developing, testing, installing, and configuring USDA FooDS, which will be accessible through the National Agricultural Library. Users of BHNRC’s data include health professionals, nutrition policymakers, researchers, the food industry, and consumers, says NDL senior nutritionist David Haytowitz. The data allows dietitians to provide specific dietary guidance to clients, researchers to better link dietary intakes to disease outcomes, and policymakers to develop guidance which promotes public health. The data is also used by many commercial database developers in the United States as well as by other countries to supplement their databases. Between October 2016 and November 2017, the website (including SR and the USDA Branded Food Products Database) had generated more than 22 million page views by 1.6 million users. To build the database of the future and meet the needs of users, NDL’s program for analyzing data is changing. “We’re emphasizing the building blocks of the food supply—key ingredients in the food—and how a variety of factors impact the variability in the nutrient content of foods,” Pehrsson says. BHNRC researchers are working on data storage, including archiving of older data under USDA FooDS, which will allow users to compare data on specific food items over time, Pehrsson says. It would be almost impossible for a single entity to maintain an analytical program that fully captures the wide variety and growing number of foods available in the market. Because commercially processed and prepared foods comprise about one-half of what Americans consume, and is the fastest growing sector of the food supply, a new database was needed, Pehrsson says. To fill this need, the USDA Branded Food Products Database was launched in 2016. This database contains nutrient information for commercially processed foods based on data from product labels. The database is the result of a public-private partnership that includes, in addition to ARS, the International Life Sciences Institute-North America, Label Insight, GS1, 1WorldSync, and the University of Maryland’s Joint Institute for Food Safety and Applied Nutrition. The partners voluntarily share their data for incorporation into the USDA Branded Food Products Database. This database makes it easier to find nutrients contained in manufactured or brand-name foods sold in supermarkets throughout the United States, she adds. Items can be searched by brand name, manufacturer, or ingredient, allowing users to target the foods they consume and compare assorted brands of a specific food item. “The Branded Food Products Database also features nutrient information by portion size—weight and measure of the food—which is useful to consumers, and on a 100-gram basis, which is useful to researchers,” Haytowitz says. “We will be able to track ingredients in foods over a period of time,” Pehrsson adds. Food companies provide updated information, and the older information will be available for comparison. The biggest challenge with this database is keeping up with a growing, vibrant food supply, Haytowitz says. Beyond maintenance, it requires expansion, improvement, and functionality. When something in the data submitted to the Branded Food Products Database appears inconsistent, companies are notified and given an opportunity to revise their submissions as needed. USDA FooDS will be integrated, automated, and contain more detailed and comprehensive data and related information on food—making it a more powerful tool for researchers and consumers, Pehrsson says.—By Sandra Avant, ARS Office of Communications. ARS manages USDA food and nutrient databases. 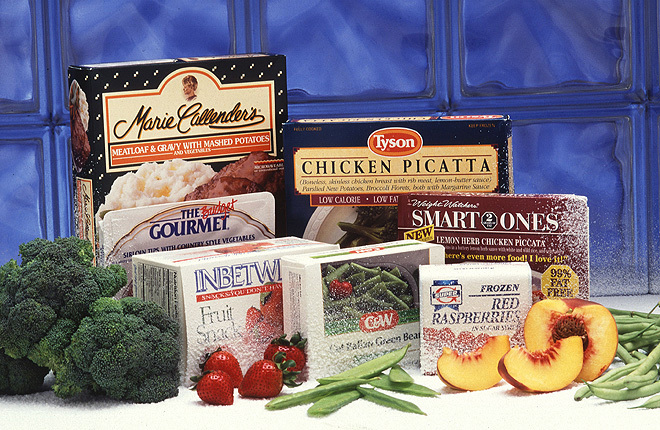 Databases provide information on more than 230,000 food items. A new food data system is being developed that will integrate these databases into USDA FooDS.